Machine learning methods are being applied in many different areas - from analyzing financial stock markets to movie recommender engines. But the same methods can be applied to other areas that also deal with big messy data. In bioinformatics I use similar machine learning, only this time to help find the underlying mechanisms of cancer. The problems in bioinformatics might seem opaque and confusing - sequencing, DNA, methylation, ChIP-seq, motifs etc. But underneath, the same algorithms that are used to find groups of customers based on their buying behavior can be used to find subtypes of cancer that respond differently to treatments. Algorithms for text analysis can be used to find important patterns in DNA strands. And software verification tools can help analyze biological systems. In this talk, I'll show you the exciting world of machine learning applications in bioinformatics. No knowledge of biology is required, the talk will be mostly in developer-speak. 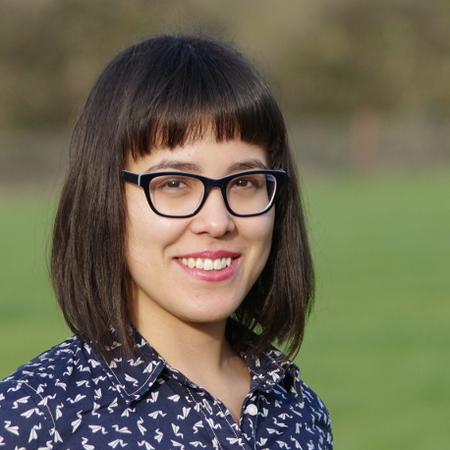 Evelina is a machine learning researcher working in bioinformatics, trying to reverse-engineer cancer at University of Cambridge. Her background is mainly in computer science, statistics and machine learning. Evelina is a big fan of F# and uses it frequently for data manipulation and exploratory analysis in her research. Outside of academia, she also speaks at developer conferences and user groups about using F# for data science. She writes a blog at http://www.evelinag.com.